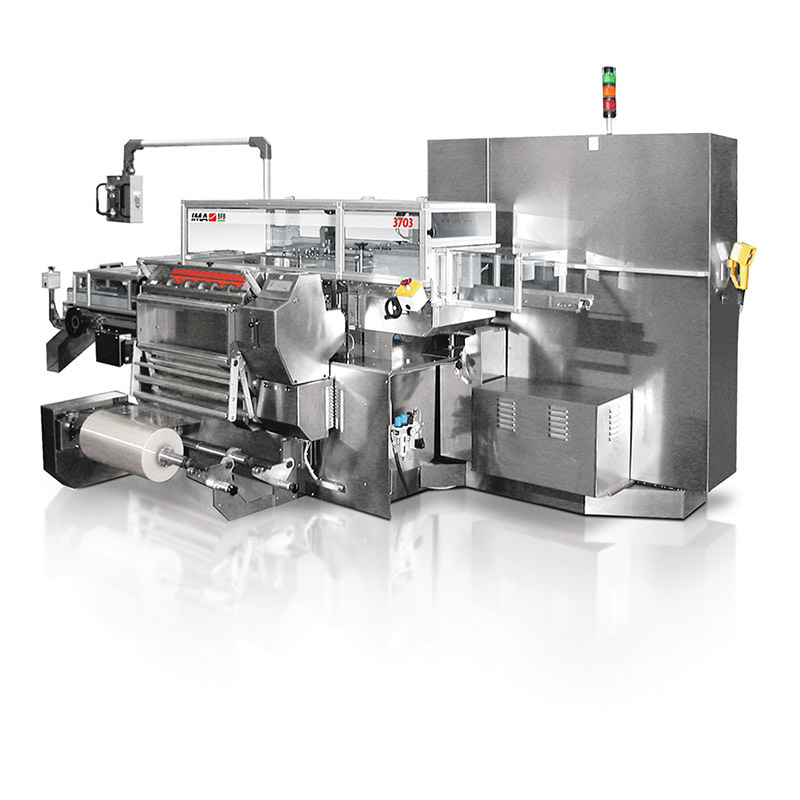 With an output of up to 100 bundles/min., the 3703 can arrange the products wrapping it in one, two or three rows on a single layer. Bundle collation occurs in line with product exit, but outside the wrapping area. 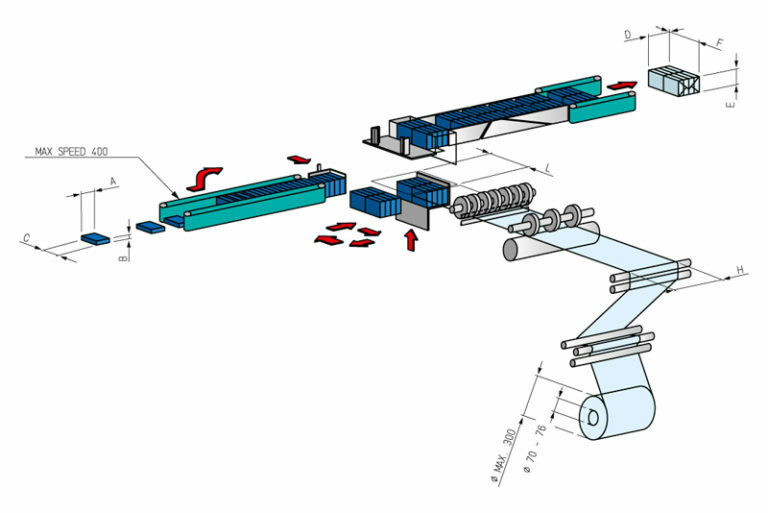 Product infeed is managed by lateral belts to avoid product sliding due to high feeding speeds and a driven star-wheel in order to turn on edge the incoming products. Final products configuration is achieved by means of a driven collating unit. Changeover by replacement of pre-assembled and pre-adjusted groups is fast and easy, so as to avoid unwanted downtime. 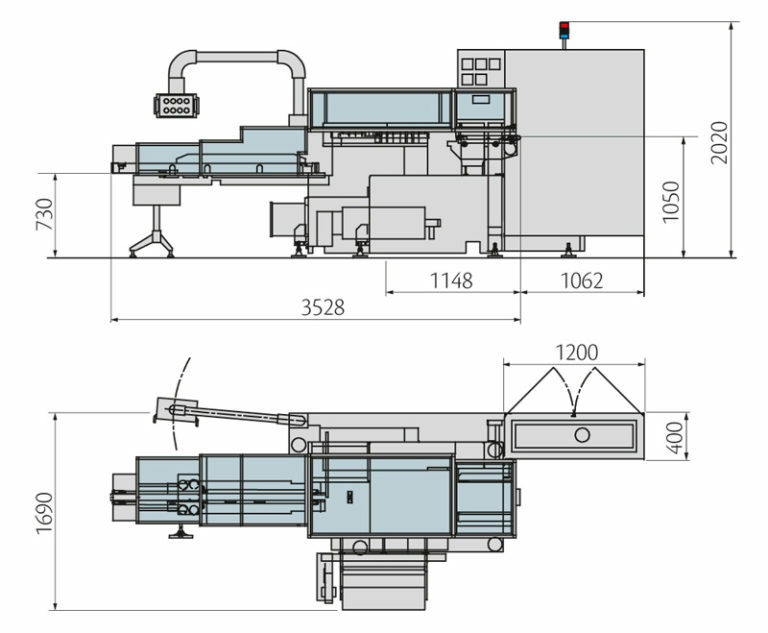 Machine can be supplied with right hand or left hand film feeding from product entrance. All movements are servo driven, including bundle forming. Lubrication: oil forced circulation by motor-driven pump with safety pressure switch. Countless optional groups can be integrated for specific functions and enhanced performance.